I am not so lucky that my son and his family have chosen to live in the wild west, Calgary to be specific. It is a long way from the east coast, too far to drive and it is a 5 hour plane ride if everything is on time but we love to visit. So we make a once a year trip for a couple of weeks, play with Molly, son and father golf and for me a little quilt store visiting. 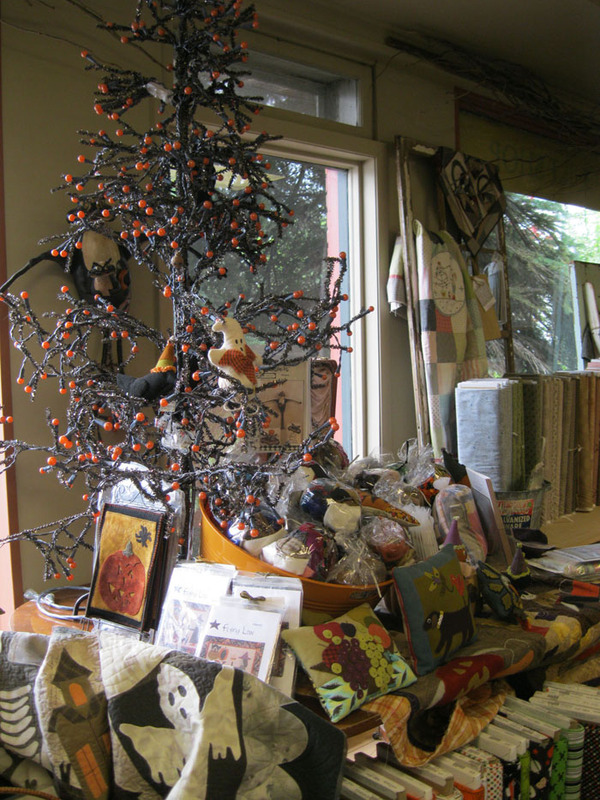 So I am lucky that there are about 5 great quilt stores, 4 in Calgary and one, Sugar Pine Quilts in Canmore. The 4 in Calgary are Sewing Sensation/World, Out of Hand, My Sewing Room and my very favourite Traditional Pastimes. The atmosphere is welcoming and cosy, the staff is very helpful and attentive and I love that they have so many samples from patterns and books. They love what they are doing, you can just tell. 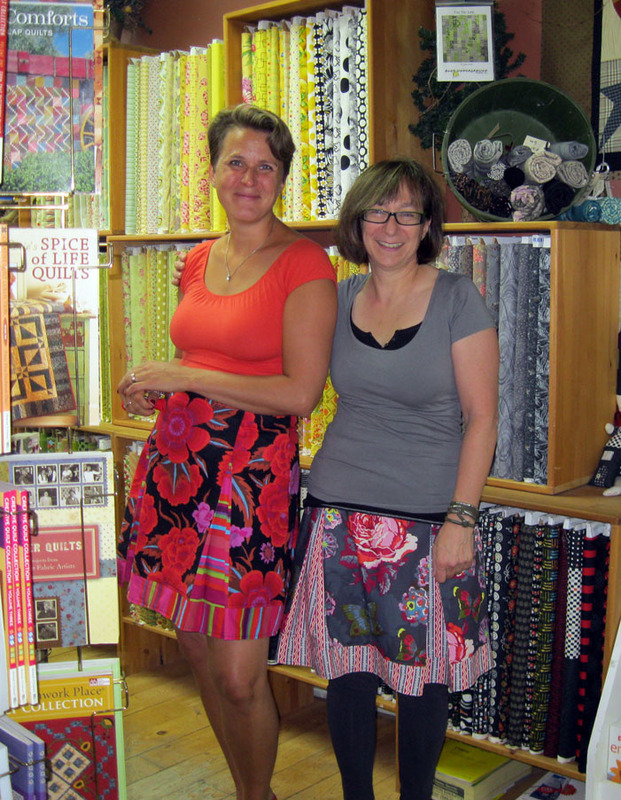 Katie and Bernadette (r), the owner, they are both wearing skirts they made and I forgot to get the name of the pattern! They are all ready for Hallowe'en! There are lots more pictures of Traditional Pastimes in my Flickr Photostream. And if you do get a chance to go to Traditional Pastimes, go hungry and have lunch or a snack next door at The Lazy Loaf and Kettle. My quilt friend Cheryl Arkison recommended it and I second the recommendation!